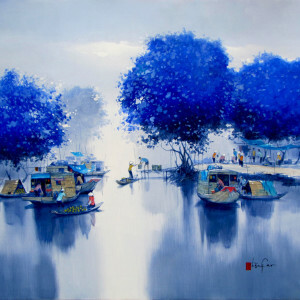 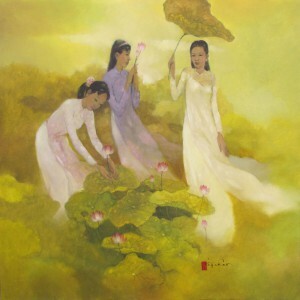 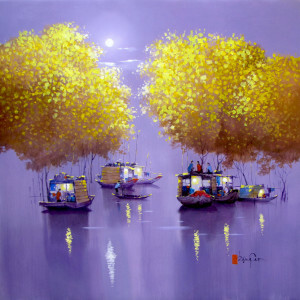 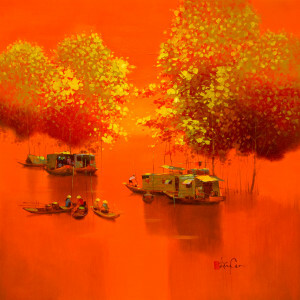 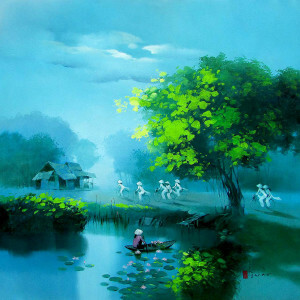 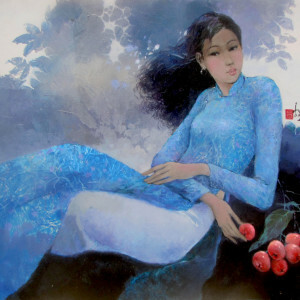 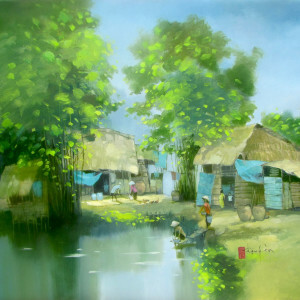 This painting by the renowned contemporary Asian artist Dang Can, known for his depiction of life on the Mekong river, is done in his signature style. 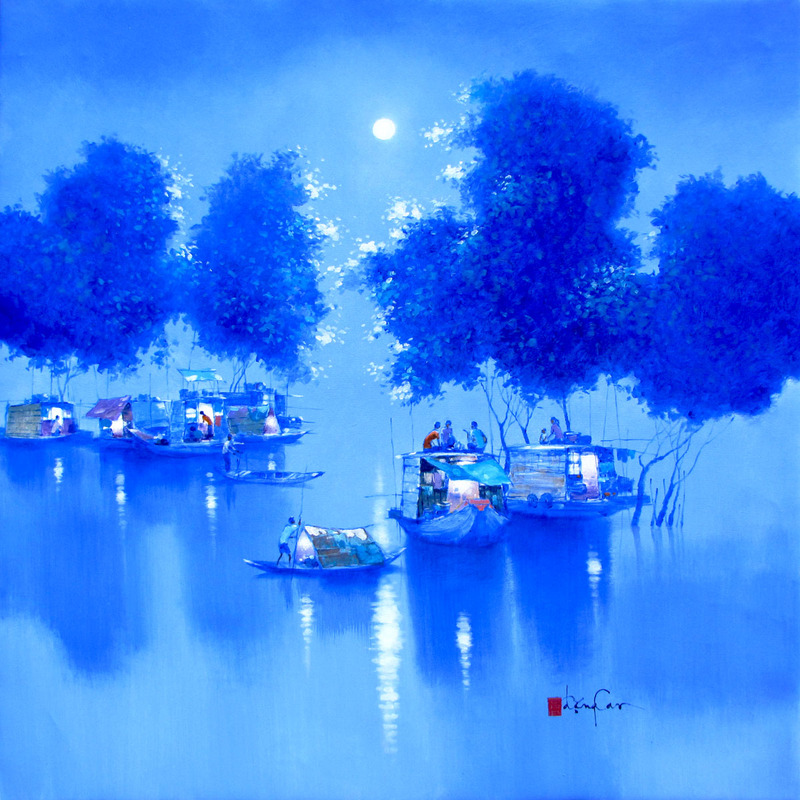 Though painted realistically, the composition with the bright moonlight tearing through the stillness of the night has a dreamy feel to it due to the blue wash. 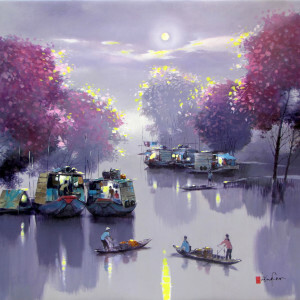 The symmetrical composition looks peaceful and serene.